The festive season and the cold probably made you reach out for hot kachoris, vadas, samosas, liquor and other high calorie foods. 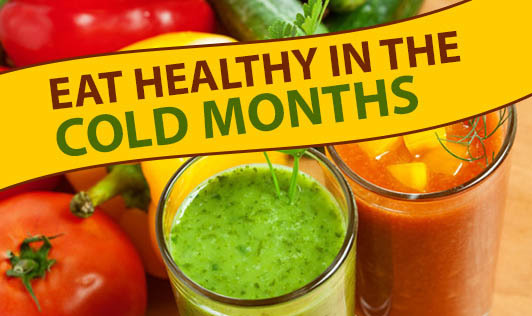 We still need a well balanced diet with lots of vegetables, fruits and whole grains in winter. Ayurveda believes that winter is the season when nature is ready to nature the body and the digestive fire within us is stronger. Immune-boosting foods will not only nourish us but also keep infections at bay. The marginal increase in the basal metabolic rate in winter is what makes us hungrier in winter than in summer. Unfortunately, many people load themselves with high calorie and high fat foods in winter in order to satiate their hunger. This not only adds weight to the body but also reduces immunity. • Include whole grains in the form of hot brown rice, whole wheat toast, hot phulkas, warm pasta, oats or ragi porridge. These will provide energy through carbohydrates. • Use whole pulses like rajma, moong and channa because they are filling and nutritious. W Drink warm herbal teas with honey instead of over loading yourself with caffeinated beverages. • Include spices and nuts. Nuts are filling and nutrient-packed. Alternative therapists believe that some spices like pepper, ginger and garlic give warmth to the body and are useful in winter. • Luke warm water is a nice way to make sure your water requirement is met and you don't shiver. • Stay away from fried foods and rich desserts. Naturopathy. • If you must drink alcohol to ring in the New Year, take it in small quantities. • According to Ayurveda, health-building foods include those that are fresh, organic, easy to digest and wholesome. • Do not relinquish exercise regimen. You need it for warmth and wellness.